I'm not even going to bother cutting and pasting that useless link. It is a sign from the Upright Citizen's Brigade. 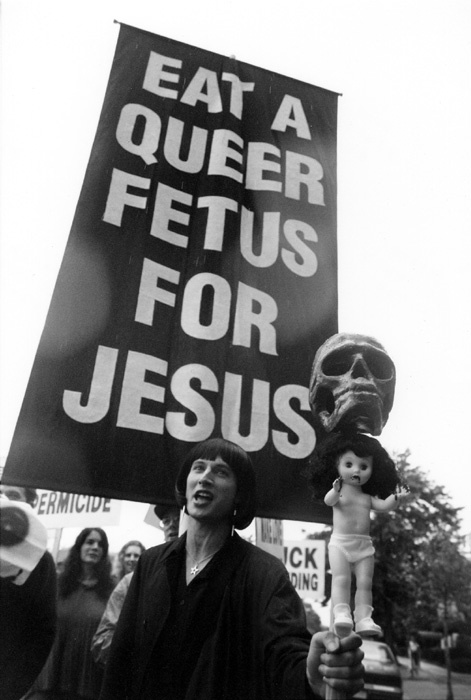 i'm not quite sure i follow the protestor's message, but i'm assuming this person pictured is a liberal? Wasnt this from the Kerry rally today? Jesus H. Motherfucking tapdancing CHrist. WHat has this Godforsaken world come too??? Kerry has the numbers “666” engraved on his scalp somewhere.